I’m an avid antiques collector/buyer/seller. Though I’m not so active in the business part of antiques anymore, I am still out there buying for my personal collections, evaluating estates, and doing appraisals. Too often, when I do an estate evaluation or appraisal, I have to explain to heirs how little a loved one’s collection is truly worth. That’s why I wanted to talk about fad collectibles. A fad collectible is an item or group of items that rise in popularity, flourish, then fade until the value of the item often drops below the original purchase price. If you’re an antiques dealer in the business of buying and selling, that’s not so bad. Sometimes you have to take a loss and sell for what you can get. If you’re the consumer who bought a certain collectible(s) as an investment, fading fads can sting. Here are three examples of fad collectibles that rose and faded so that the value is currently quite low. Hummel figurines (also known as M.I. Hummel figurines or simply Hummels) are a series of porcelain figurines based on the drawings of Sister Maria Innocentia Hummel, O.S.F. 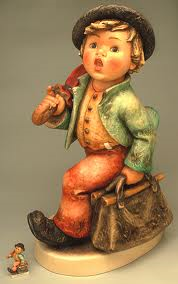 W. Goebel Porzellanfabrik in Germany first made the porcelain figurines of children with sweet faces in 1935. They became popular in the U.S. after soldiers returning from World War II brought them home as gifts for wives, mothers and grandmothers. Original quantities sold quickly and soon old figurines, identified by the mark, rose in price. Collectors snatched up available figurines, forcing an increase in producing more figurines. 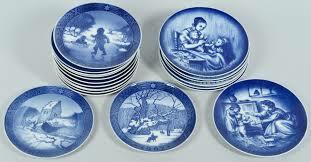 Plates with Hummel figures were also made. Soon the market was flooded with Hummels. Interest dropped. 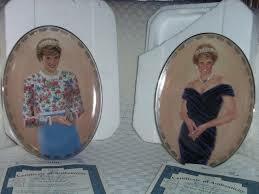 The secondary market for the figurines and plates virtually disappeared. A vibrant speculator market in the figurines emerged again in the 1970s. Prices skyrocketed then floundered. Today most Hummels sell for less than $50. 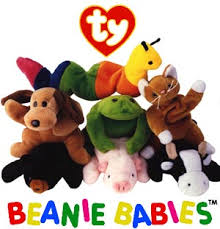 Beanie Babies are the line of popular stuffed animals, made by Ty Inc. in late 1993. The inner “posable lining” and plastic pellets (or “beans”) rather than conventional stuffing give Beanie Babies a flexible feel. Hundreds of different animals were made, some in limited or special editions, some were “retired” and became hard to find. 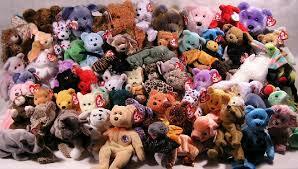 By 1995, Beanie Babies were a hot collectibles fad. I was selling them in my shop as fast as I could buy them, especially the McDonalds’ kids’ meal beanie sets. The collectible craze ended in 1999, when Ty Inc. stopped production. Production restarted in 2000 and in early 2008, Ty released a new version of Beanie Babies called Beanie Babies 2.0, which provide its owner with a code to access a Beanie Babies interactive website. Renewed interest in these new Beanies did nothing for those of us who have a stash of the early Beanies in a box in the attic or closet. Limited Edition Items This can include collector plates, Christmas plates and ornaments, anything Franklin Mint—dolls, coins, figurines and die-cast cars—Norman Rockwell merchandise, paperweights, figurines, bells, enamel boxes, spoons, mugs and steins have all been offered in limited editions. Any item promoted as limited editions, limited by quantity or period of production is considered a collectible fad. Limited editions were a new idea during the 1970s and quickly became a fad. Clubs were formed and conventions were held so collectors could buy and sell older editions of items. Collectors saw prices rise, ads promoted “investment” possibilities, and many people bought large collections. Those same collectors were shocked in the 1990s when prices plummeted and their “investment” turned out to be a loss. Today’s younger buyer often considers such items kitsch. Having the original box and paperwork increases value, but most items languish in closets, yard sales or resale shops. That said every Christmas since the 1980s I order the collectible White House ornament and a Texas capitol ornament. Someday my heirs will hear the same thing I tell others. I’m not saying don’t invest in collectibles. Truth is there’s no way to predict what collectible or antique will remain a profitable purchase and what won’t. Based on my years of experience, my best advice is to buy what you like and enjoy the piece(s). Next week we’ll talk about Precious Moments, Cabbage Patch kids, and Longaberger baskets.